When will be TUF Talk next episode air date? Is TUF Talk renewed or cancelled? Where to countdown TUF Talk air dates? Is TUF Talk worth watching? TUF Talk is a half-hour late-night companion show to The Ultimate Fighter. TUF Talk originally debuted on FS1 as a segment of FOX Sports Live and has been expanded this year into its own show. Co-hosted by veteran combat sports journalist Karyn Bryant and retired UFC fighter and TUF Season 1 cast member Kenny Florian, each episode of TUF Talk recaps the latest episode of The Ultimate Fighter, features cast interviews and provides exclusive show outtakes. Hosts Karyn Bryant and Dominick Cruz catch up with Garbrandt and Dillashaw via Skype this week to recap the opening episode and preview the season ahead. Dillashaw's coach Duane Ludwig also joins live in studio to discuss the heated rivalry between Dillashaw and Garbrandt. 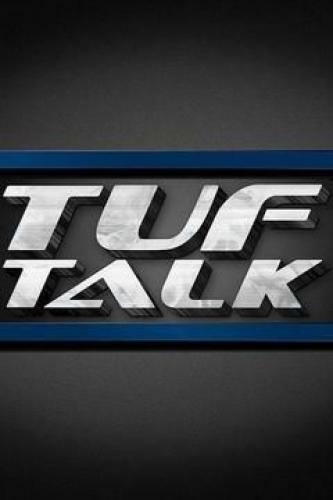 TUF Talk next episode air date provides TVMaze for you. EpisoDate.com is your TV show guide to Countdown TUF Talk Episode Air Dates and to stay in touch with TUF Talk next episode Air Date and your others favorite TV Shows. Add the shows you like to a "Watchlist" and let the site take it from there.